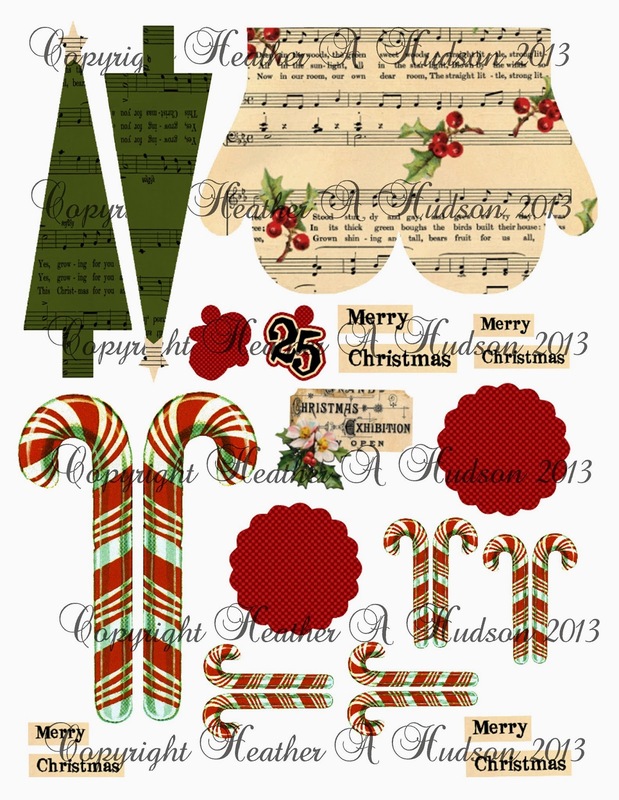 Vintage Christmas Mitten Collage Sheet. She supplies the most beautiful images to play with!! All I did was change the size of my images, and then created the simple tag shape. Really Reasonable Ribbon for mitten cuff. Red pom pom trim, juliet lace, red diagonal ribbon, green leaves and a deep ivory mulberry rose. Here is a look at the tag with the goodies removed. More of the diagonal red strip trim on my little tree. I used Havana Brown Seam Binding for my sweet bow right of the mitten, and Red swirls ribbon at the top for my bow. Here is a look at the collage sheet if you missed it the other day. Here is my Original inspiration piece for this Collage Sheet! I had so much fun designing it! I used my Black Cat Cougar to cut out all my diecuts! Check out the Great easy Give Away at Gecko Galz!! I do love the combination of Mitten and music! This is a great collage set! I love the holly leaves and those candy canes! Beautiful tag. I saw it on MIM and wanted a closer peek. Love your tag Heather and the pretty embellishments. Thanks for joining us at Make It Monday. Such a beautiful tag... i Love this!!!!!!!! I stopped over from MIM.